It’s official FEAT Canada is coming to you on March 8, 2013. Over the next 4 months we will be announcing each of our 9 speakers to you. The second on this fabulous list is Simon Whitehead! 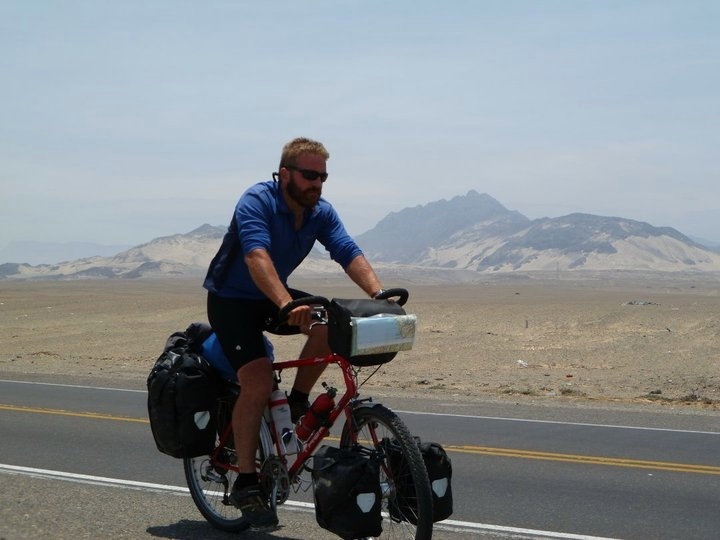 In 2010 Simon Whitehead left the UK to cycle solo and unsupported through South America for six months. Armed with a five-day intensive Spanish course and a vague plan to head south, he tentatively set out from Quito Ecuador on an 11,000km journey that ended in Ushuaia, Argentina, the world’s most southern city. The adventure took him over the Andes, through deserts and jungles, down the world’s most dangerous road and across the world’s largest salt flat before experiencing the vastness and beauty of Patagonia and the Tierra del Fuego. Along the way he was robbed, chased, called ‘Gringo’ at least a thousand times, touched by the kindness of strangers, got lost (numerous times), learned many life lessons and met the woman who would become his wife. Simon will be talking about “The Fear…” Often ‘the fear’ is more scary than the actual thing you are scared of… like getting held up by Banditos! I think it was an incredible success and have received a lot of positive feedback about the night in general.